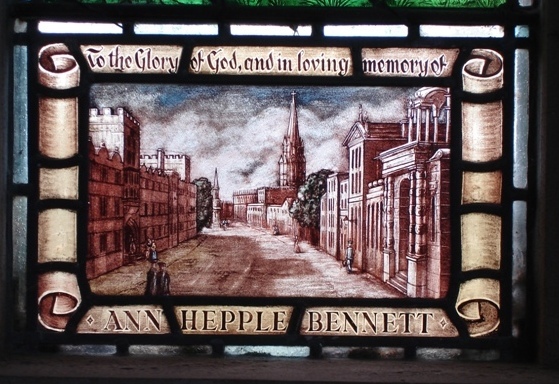 This is a three-light window in memory of Ann Hepple Bennett, wife of Doctor Bennett, M.D., who was a lay reader in our Parish. 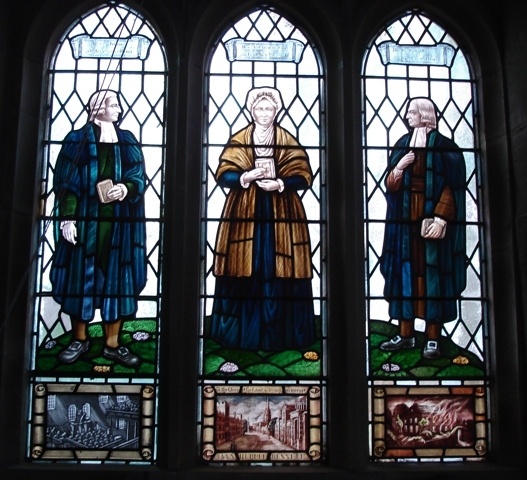 It was designed by Mr. H.R.Keedy and shows John and Charles Wesley with their mother. 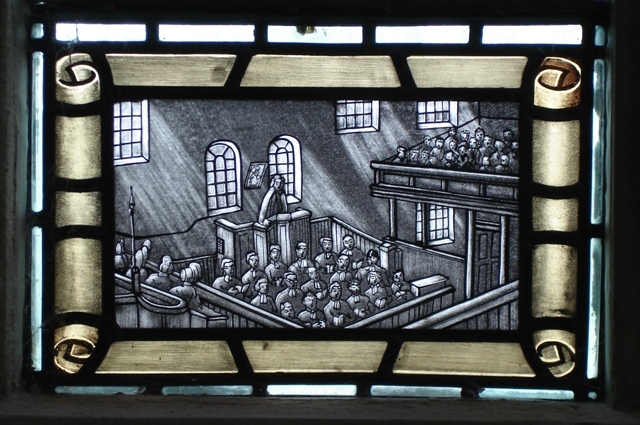 This is one of the few memorials in our churches, which depict any of the Wesley family who were such ardent preachers of the Gospel, and who always remained in the CHURCH OF ENGLAND. 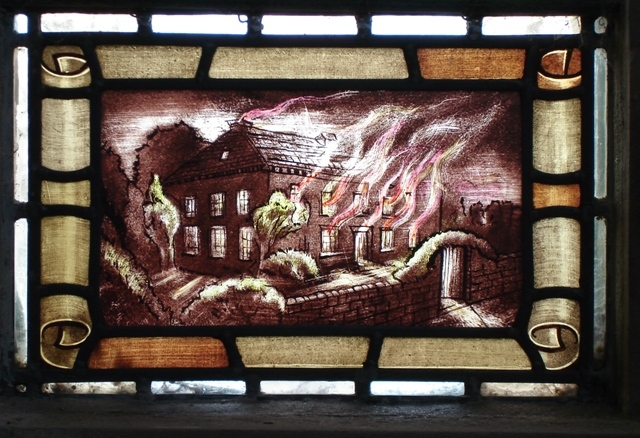 (3) The burning of their home at Epworth, Lincolnshire, by people who disliked their father. John was rescued, and so he said, "He was a brand, plucked from the burning".